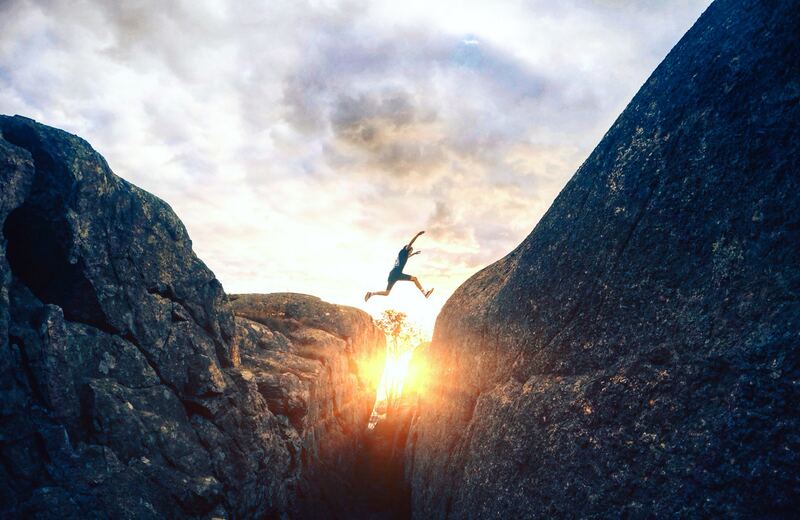 Compliance can be one of the most difficult and complex obstacles financial advisors face. Advisors can run a great first half of the race, developing a impressive advisory firm and providing real value to their clients. In the second half of the run, many advisors experience a need to grow in marketing their business, and many advisors can often get slowed down and tripped up on the hurdle of dealing with compliance. RIAs are now demanding the ability to market their own services and it has dramatically changed the financial planning landscape. Advisors are able to build their businesses and grow them with the help of various tech tools, further extending their marketing efforts and the reach advisors have to prospective clients. It has provided endless opportunities, but has also come with compliance risks for both advisors and broker dealers alike. Often, compliance issues can lead advisors to play defense, simply resolving problems as they arise. This roundup covers the most critical compliance features to include in your website design and online content so that you can start to play offense in your digital marketing efforts. As a financial advisor, security on any online platform you use is essential for the safe transfer of confidential information. You are most likely handling client information, financial documentation, and business details everyday and are most likely storing or sending this information online. There may be no bigger liability than the wealth of your information being stolen. Unfortunately, it can happen at any moment when you are using online platforms that aren’t secure. HTTP websites’ data is not encrypted and when it passes from a server to a browser for online visitors to view, it can more easily be collected by third parties. If you have a client portal or even have a contact form, your clients’ and prospective client’s valuable information is at risk. You may even link out to a third party website for the client portal you use, but the path for clients to get there can be disrupted and they may be brought to a threatening website that looks similar only to steal their information. This is why it is crucial for you to use HTTPS websites, meaning it has an SSL certification. SSL or a Secure Sockets Layer encrypts data when communicating between the server and browser. Here at Twenty Over Ten, we integrate SSL in every website we design to keep you and your clients secure. Additionally, an SSL certificate can give your clients a boost of confidence in your business knowing your firm is authenticated and real. It can also bring new clients to your website due to its SEO benefits. Having a secure website is necessary but also rewarding for the growth of your advisory firm. Using an an online platform to connect with clients and prospects is imperative to succeed in today’s tech-focused world. Marketing has become very much digital, loaded with opportunity. Think about how you communicate with clients and prospective clients every day. Do you have a website with information about your business? Do you have a LinkedIn profile for yourself as an advisor or a LinkedIn business page for your firm? Do you have a Facebook or Twitter page allowing you to connect and advertise to your target market? These platforms are becoming more and more necessary to have a presence on. However, this heavily used form of marketing can bring additional risks to your firm without the proper documentation and approval. Archiving has become a staple for advisors due to the rise in regulations and the risk associated with online communication. The SEC regulates how registered investment firms market and advertise their business on different mediums to protect advisors. One example is advisors can not provide false or misleading claims, as this increases the risk of liability. Archiving your entire online presence can save you the headache and any legal issues associated with online marketing. Luckily, Twenty Over Ten’s platform has both an FINRA and SEC-approved archiving process for users. Not only are all changes to your websites and blog posts archived, but our system also allows broker dealers and compliance officers full access to an approval process for any future changes. Any edit throughout the build and life of the website is accessible at any time. And speaking of approval, Twenty Over Ten makes this part of compliance easy with an automatic approval process. If our team makes an edit to the website at your request or if you would like to make a change to your website yourself, your team will receive a notification that the website has been submitted for approval. Broker dealers and compliance officers can be and are encouraged to be involved in each step of the process as your website evolves. All website content and any additional edits can be reviewed easily and in various formats. After review, your team can quickly recommend changes using the live chat tool, send attachments, and communicate directly with advisors. This automated process streamlines compliance activities to make your business run more efficiently. It also opens the door for internal communication and allows team members to effectively execute appropriate action. Automation unifies individuals to work as a team and gives you the ability to better adhere to regulations and distance risk of legalities. Lastly, at the root of any compliance issue is more often than not communication. Your team members each play a specific and significant role in the way your firm is run under regulation; giving them the tools to provide input regarding their expertise can solve many of the compliance problems you face. 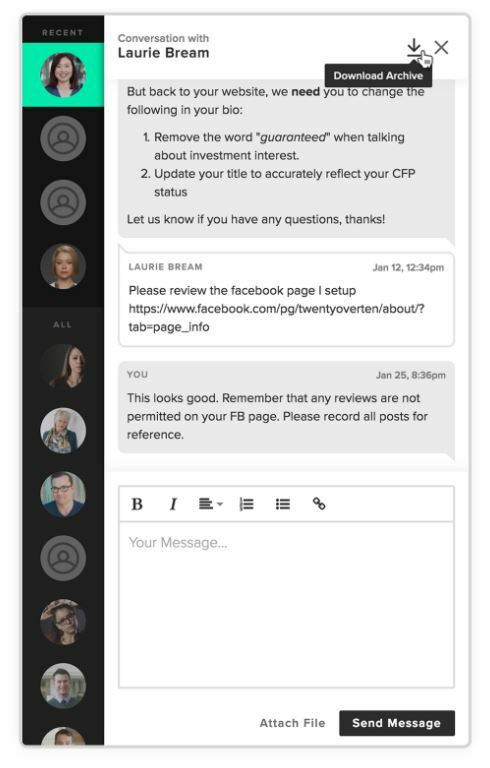 The Twenty Over Ten platform allows advisors, broker dealers and compliance officers to talk directly with live chat. 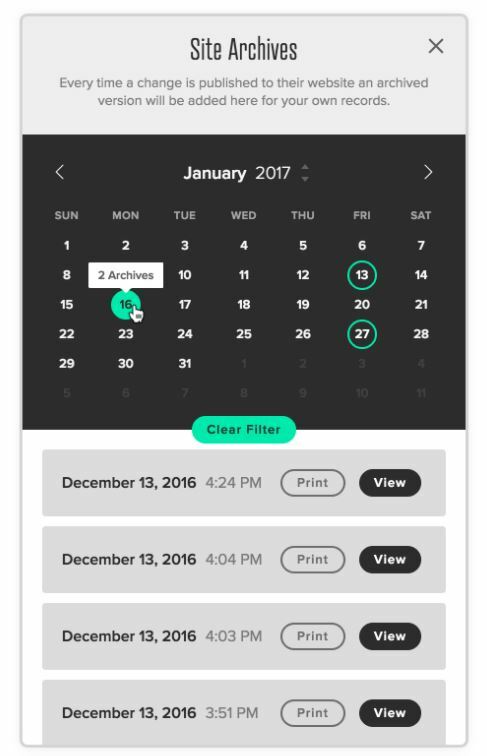 To make communication simple and easy, you can send attachments, view all archive history in both a list and calendar view, and get notified of new changes to the website and messages. With so many communication channels, our live chat tool within the platform makes transactions faster and easier to navigate when receiving information. With clear communication and utilization of features similar to our live chat, teams can mitigate and relieve issues quickly. Allowing team members to see all of the content and changes being made to the website creates a cohesive team working against any compliance issue. Advisors and broker dealers have the ability to select one person or team member, such as the compliance officer, to analyze specific changes that need their immediate review. As changes and edits are being constantly made, advisors can gain insight to compliance regulations as the website evolves. Most importantly, clear communication within your team prevents problems before they arise.